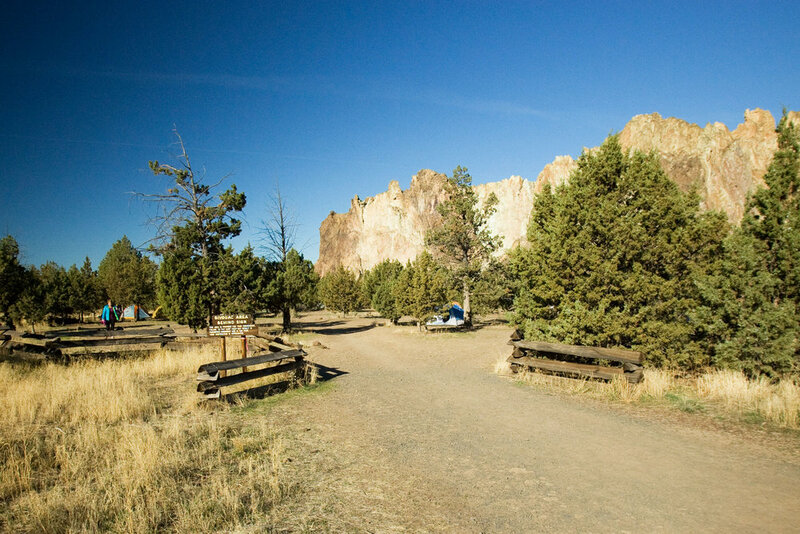 The Bivy area (affectionately known) at Smith Rock State Park is a year-round walk-in campground. Space is available on a first-come first-served basis. Reservations are not accepted. The campground is typically full Spring and Fall Friday through Sunday. They will continue to put out the “No Vacancy” signs when full but don’t have plans to go beyond that at this time. Overnight camping in vehicles, campers and/or trailers is not allowed. 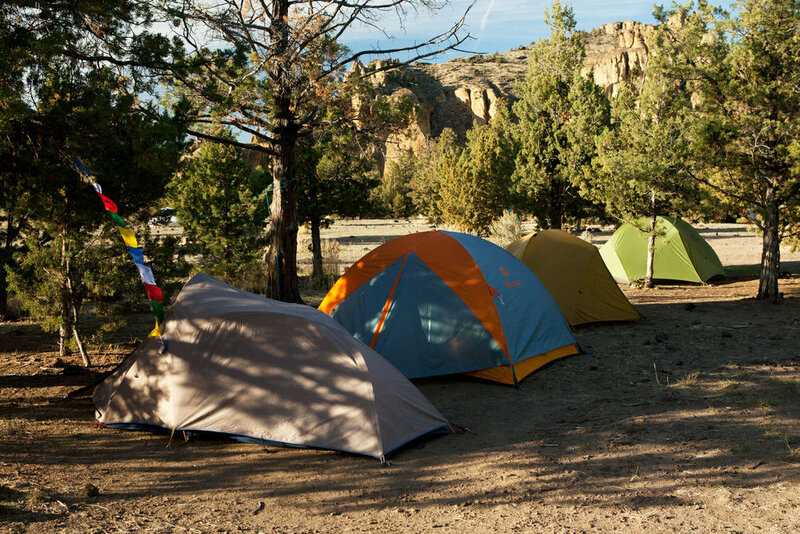 Check out the Campgrounds page for links to vehicle campgrounds. You can purchase up to 14 nights. Maximum stay is 14 nights. You are then required to leave for a minimum of 3 nights before returning. Fees are $8 per person per night. It includes the parking permit for the next day and use of the showers. The fee station takes credit cards and exact cash only, including coins. 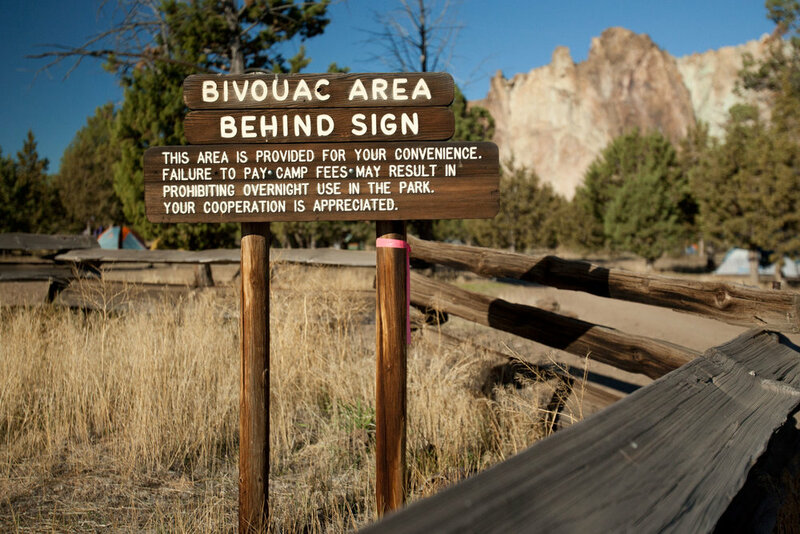 There are no RV's allowed at the Bivy Campground. Maximum vehicle length is 20 feet. 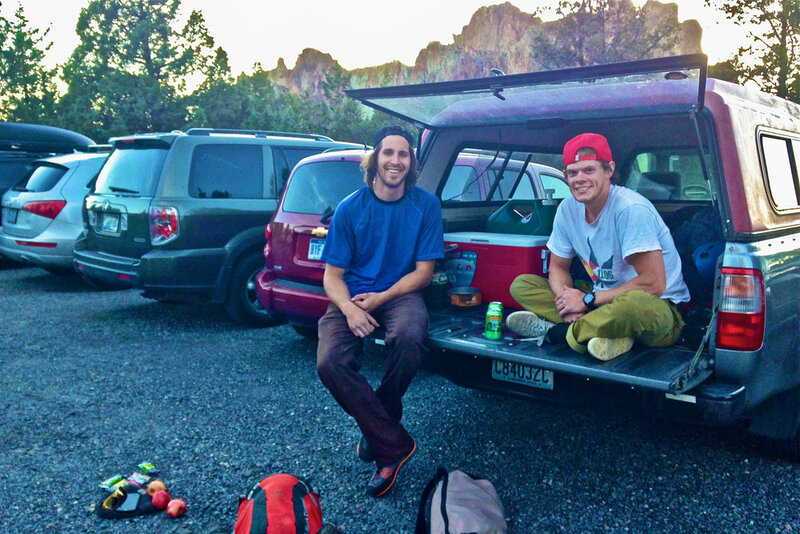 The campground restrooms and showers are on the north side of the Bivy parking lot. Showers are available for $2 to people not registered in the campground. There are 3 ADA designated 18’ x 18’ campsites. Fires, smoking and charcoal/wood barbecues are not allowed in the campground. Propane or gas stoves can be operated in the common area located at the parking lot. A recharging station is available by the communal sink area, thanks to an anonymous donor. In addition to a bench, it has 12 plug-ins, complete with a galvanized top for protection. Pets have to be on a leash no longer than six feet long, and yes--their owners are required to clean up after them. Also they can't be left unattended and tied to any trees, fences, rocks or any other object. Lastly--be nice to other pets and humans. Yours needs to be under control at all times when not in your car.